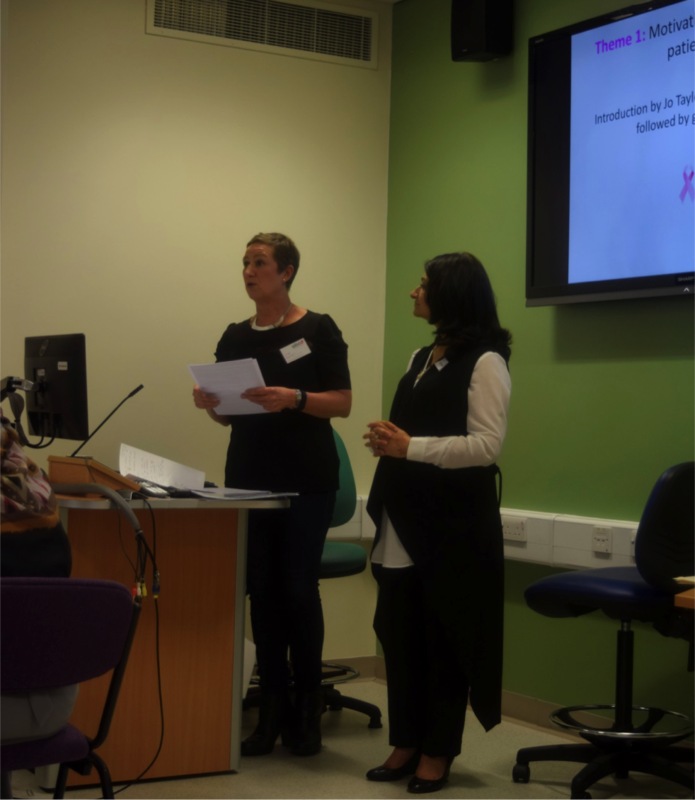 The annual symposium of patient engagement and empowerment organised by the Asian Breast Cancer Support Group took place on Friday 31st March from 12:30pm to 5:00pm at the Nightingale Centre and Genesis Prevention Centre, Wythenshawe Hospital. Anil Jain, Consultant Radiologist at UHSM’s Wythenshawe Hospital has since 2011 been leading the way in bridging the gap between Breast Cancer and the BAME community whereby he founded the Asian Breast Cancer Support Group. 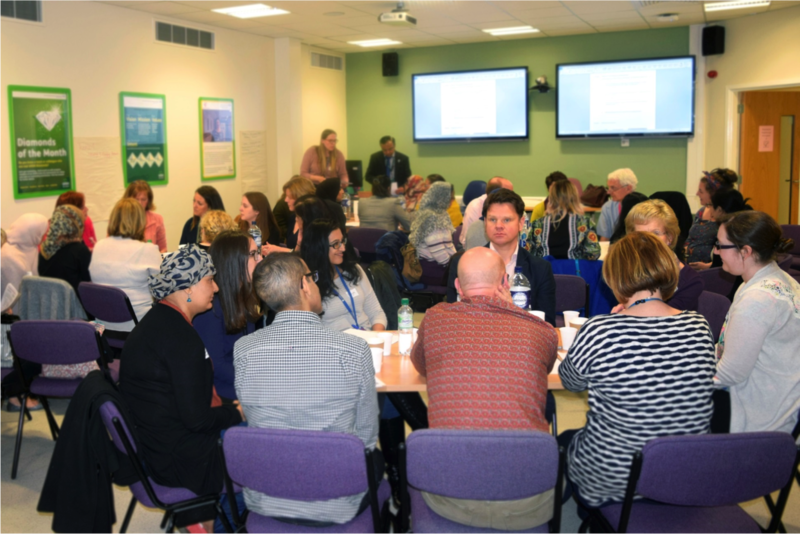 On the 31st of March 2017 Anil was joined by 70 health care and patient delegates from throughout the UK to try to find ways to address this growing problem, break down any barriers and develop good patient involvement in care. Dr Neil Churchill, Director for Patient Experience at NHS England, joined the Symposium whereby he delivered that one of the aims of the NHS “is to speed up access to diagnosis and ensure that patients who aren’t diagnosed do not wait and worry, and that all patients should receive a ‘definitive’ diagnosis of cancer or have cancer ‘definitely’ ruled out within 28 days of initial referral”. This is a positive step forward in the diagnosis of Breast Cancer but one of the NHS’s main challenges is to get this message out to the BAME communities. 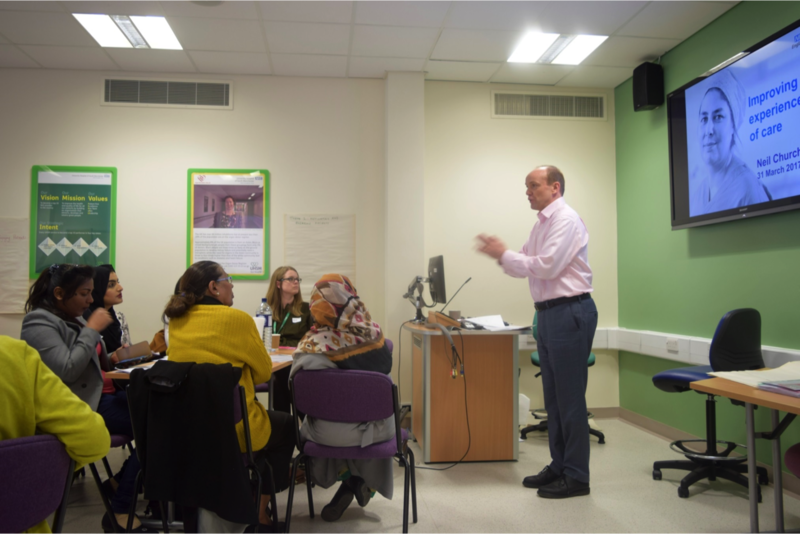 Wythenshawe Hospital is committed to ensuring that patients from the BAME communities attend their screening appointments and help in developing good patient involvement and engagement in care by breaking down any stigma’s and taboos surrounding Breast Cancer in the BAME communities and empowering patients to seek out the support they need. 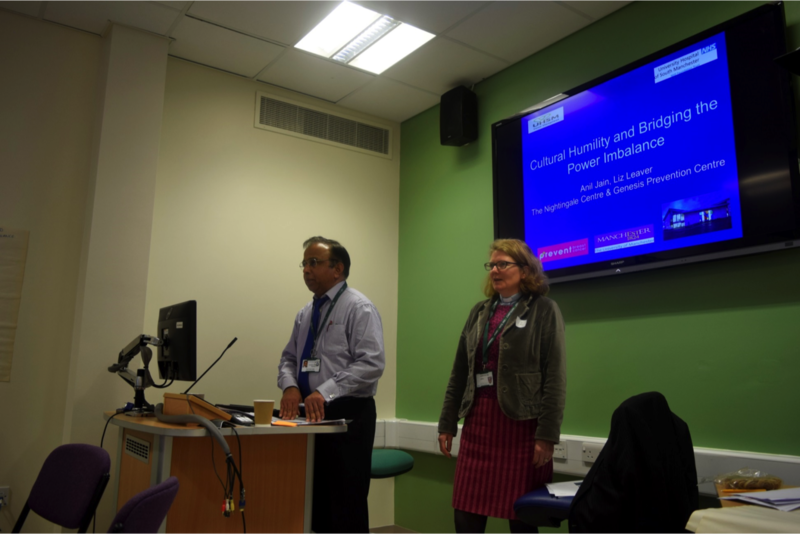 Data gathered from the symposium will help to support health care professionals to provide better more specialised care to patients from ethic minority communities in building wider emotional support systems. Wythenshawe hospital holds patient to patient support groups for any patient affected by Breast Cancer and more specifically tailored support groups for patients from the BAME communities, for further details regarding this please contact the Prevent Breast Cancer Team on 0161 291 4400 or alternatively email them at info@preventbreastcancer.org.uk.